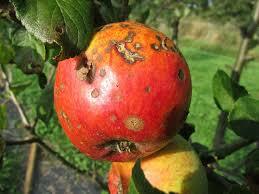 Ever Had a Tenant That Was a Bad Apple? Prevention is Key! Uh-oh, despite your thorough tenant screening you have discovered that you have bad tenants. This can happen to anyone; sometimes people look good on paper and put up a good front when you meet them. 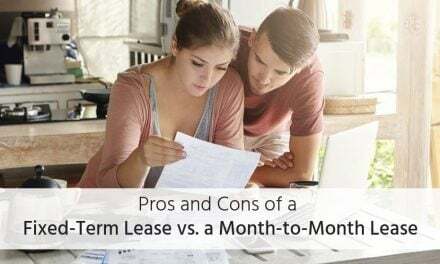 The most common issue we face as landlords or property managers is that tenants fail to pay rent, but that is certainly not the only problem landlords encounter. Some issues may not be deal breakers but will still need to be addressed, for example, perhaps you find out that there are more people living at the property than are allowed in the rental agreement. Another common rule that gets broken is the no pet rule. You may have a policy against pets, but learn the tenants have adopted a pit bull and they keep it in the house. Then better yet you find out the pit bull is not housebroken. Maybe the neighbors are calling complaining about the junk cars or garbage piled up in the back yard or the loud music that is played every night. 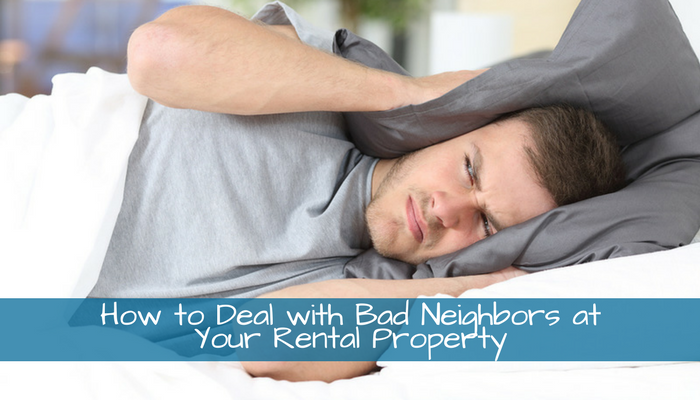 Whatever the problem(s), you have now become painfully aware that you have bad tenants. The big question now is what are the steps to fix the problem? The first thing you’ll want to do is ensure that you are familiar with the current landlord/tenant laws for your state to ensure you are complying. The reason I highlight current is because the laws change constantly and there is no process in place in which you get notified if there is a change in your states laws. The landlord software I use thankfully does send out a notification when landlord/tenant laws change. Tenants have a great deal of protection so you cannot just tell them to move because they did something you didn’t like. However, if they broke a term of the rental agreement you can inform them that you would like them to move. Keep in mind you cannot force them to leave by threatening them, locking them out, turning the power off etc. You can try and negotiate with the tenants and give them an incentive to move out right away. The incentive could be as simple as agreeing not to file eviction proceedings that damage their credit rating. Remind them (Professionally) that if you are forced to take the eviction process through the court system, you will most likely be awarded compensation for all damages in addition to legal fees and court costs. If the tenants do not agree to your terms, or they fail to vacate the premises on the agreed upon date, you have no choice but to file for eviction. Each state has there own eviction process and you must follow it exactly because if you miss a step, you will have to start over. Even if you comply with the law, it can take weeks or even months, in some states, to get rid of bad tenants. If they are mad at you, which is likely, there is a significant amount of damage that can occur to your property prior to the end of the eviction process. Keeping contact with a licensed collection agency is always a good idea. With the right collection’s agent you should receive clear direction on account placement frequency and timeliness, as well as advice on how to make sure you are acting within the law. Unlike property managers who carry the responsibility of multiple duties (marketing, leasing, maintenance, etc), or landlords who likely have a day job, collection agencies recover monies due all day, every day. As a general rule of thumb, the earlier you place your delinquent accounts with a collection agency, the greater their chance of recovering your cash. The best way to prevent bad tenants from finding a way into your homes, or homes you manage, is to review your tenant screening criteria. You need to get as much information from prospective tenants as you can. Just pulling a credit report is not sufficient. I’ve provided some suggestions for important information to require your applicants to provide. • Obtain all bank account information: this includes location of the bank accounts as well as the account numbers. • Verify employment: You need prospective tenants to provide at least three months of pay stubs, or bank statements for those who are self employed. You should also call there employer to verify they are currently working and as a reference check. • Qualify the tenant: Take into account the amount of debt and income the tenants have to be sure they will be able to pay there rent. • Obtain contact numbers: This includes phone numbers of employers, mobile phone numbers of applicants, email addresses and at least one emergency contact number. This way, if bad tenants move without paying rent or after having caused damage to the property, you will at least have a starting place for tracking them down. • Contact previous landlords: Laws of some states limit what a previous landlord can tell you, but you can ask if the landlord would be willing to rent to the tenants again and that could be a pretty good indication of how they took care of the property. • Do a criminal background check: A fraud or theft conviction should be a red flag whereas a youthful conviction for drug possession may not seem as important. • Verify SSN: An inexpensive way to ensure a prospective tenant is who they say they are. • Eviction Search: This search is a no brainer, if your applicant has been evicted that’s probably a bad sign. No matter how detailed the background check and income verification processes are, it is almost inevitable that occasional applicants will slip through the cracks of the process. But, if you follow these guidelines, you will minimize the problem of bad tenants and enjoy the role of being a landlord. NextRentec Direct Provides Free Phone, Email, and Online Support.